It gives me great pleasure this week to welcome onto my blog Andrew Dunn, a paper toy designer. His paper toys cover a vast range from famous name icons to sporting figures to animals with moving heads, to name but a few! 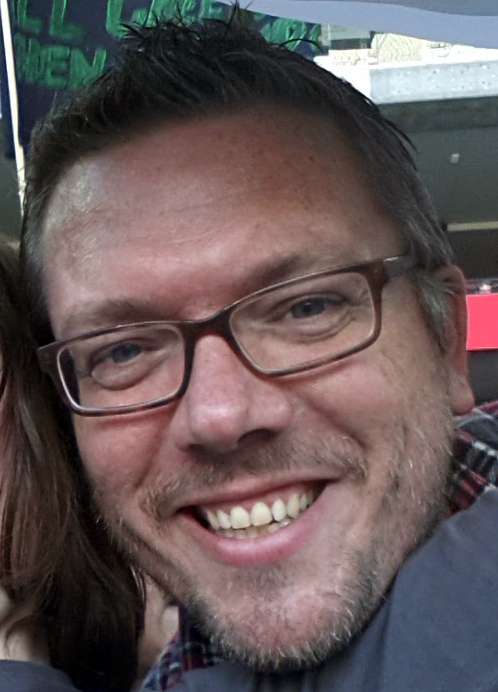 Hello Andrew! What inspired you to launch your business, Box Ed’s Paper Crafts? 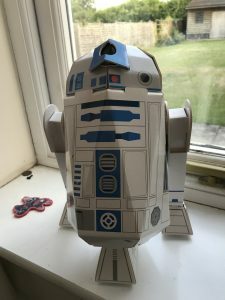 I started to create paper toys in 2011 as a way to share my passion for drawing and crafting with my two young children. 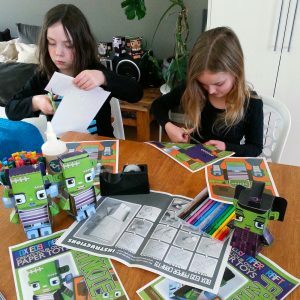 My kids love of Lego and Minecraft inspired me to design paper crafts that children could build to create their own worlds. What are the benefits of using paper craft figures as opposed to using other materials? Paper is such a versatile material, easy to manipulate, familiar, cheap and surprisingly sturdy too. My paper crafts activities introduce children to how 2D shapes combine to create 3D shapes. The activity allows children to develop their fine motor skills by cutting, folding and sticking. It teaches them patience and accuracy, how to use and combine materials and gives them a real sense of accomplishment once completed. 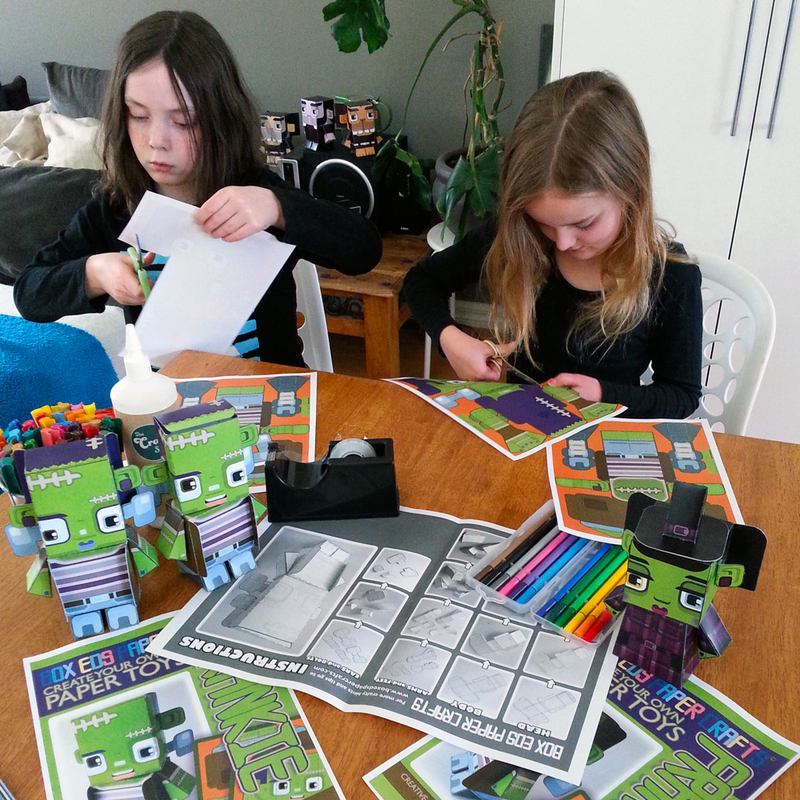 The inclusion of a blank template in each pack allows the creative freedom to colour-in and design a unique, custom paper toy. I do so love the “Hipster” and “Donald Trump” paper craft figures. 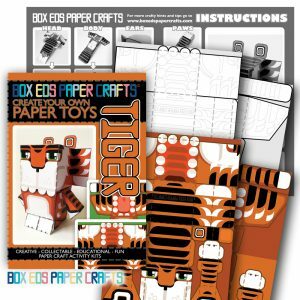 What paper crafts have proved popular with customers so far this season? Out of all the paper crafts, do you have a particular favourite? 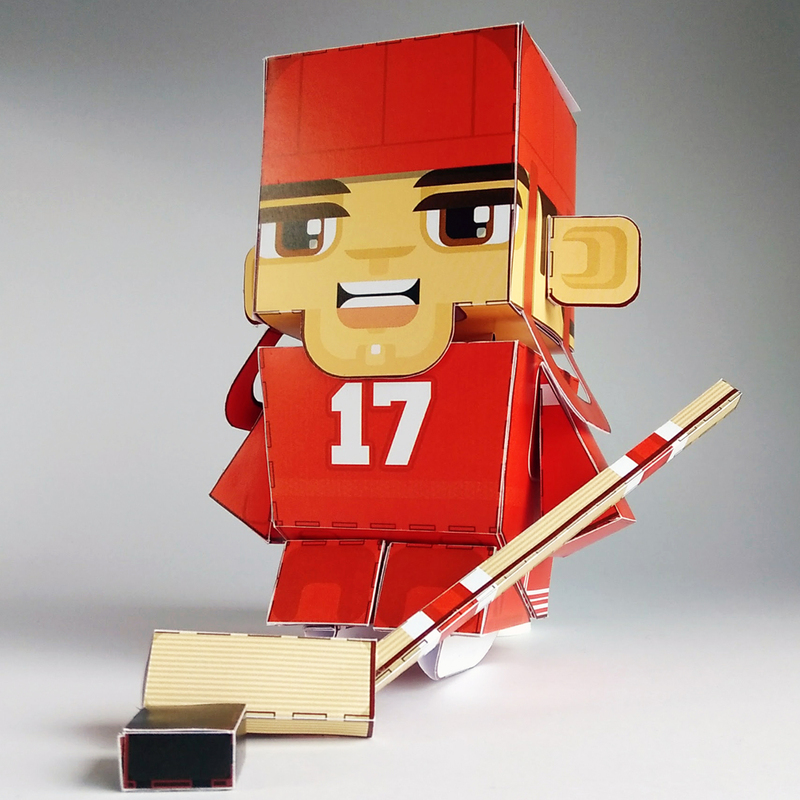 I’ve just completed a series of American sports paper toys – basketballers, baseballers etc. and I was particularly happy with the Ice Hockey players getting their sticks, pucks and skates all onto two sheets of paper. 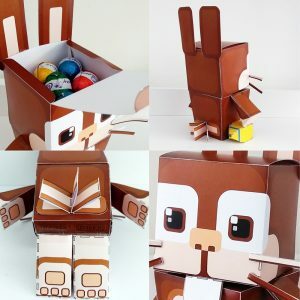 What has been the most unusual paper craft figure you’ve created? Have any been really difficult to reproduce? I’ve designed a skeleton which I remember agonising over. I think because it was essentially just black and white it was tricky to get much detail and make it fit within my template. I gave that a flip top head though and that seemed to help! Your collection of paper craft figures is vast… How did you decide what paper craft figures to first introduce? Were your ideas influenced by customer requests, your children’s ideas, or your own observations? I’ve always designed my paper crafts for everyone and anyone who live anywhere – crafters from 5 to 95 anywhere in the world can cut, fold and stick together a character and have some fun. So cats, dogs and bunnies were the first characters. My kids are always giving me ideas and feedback on what works and doesn’t work which is great to get some constructive criticism. I also love your sideline products of the tank tops, mugs etc that feature your paper craft figure motifs. My personal favourite is the Ice Hockey mug. What sideline products have proved most popular? Thanks, actually the ice hockey designs have proved to be the most popular. The designs are pretty much lifted straight from my paper toy designs, with a few tweaks here and there to make it suit the t-shirt or cushion cover or shower curtains they’ll be printed on! As you are based in Melbourne, Australia, do you ship overseas too? All my paper crafts can be instantly downloaded wherever you are. The internet has made the world a whole lot smaller and more accessible. I do offer a physical product too so I can send my craft packs wherever people want to get their craft on. For the past 5 years I’ve not strayed far from black t-shirts, blue jeans and a pair of Converse Chuck Taylors! I love flipping through the sites where I have my online shops Etsy, Redbubble and Society6. People are so creative and crafty and these platforms allow anyone and everyone to express themselves and get their art out to the world. It feels good knowing that I’m supporting artists and creatives just like me. Well August and September downunder is coming into spring time and living at the start of the surfcoast road I’ll be stocking up on flip-flops/sandals/thongs and possibly some rad surf-influenced tshirts! Chucks! Simple, comfortable and classic. Links you would like to share e.g. 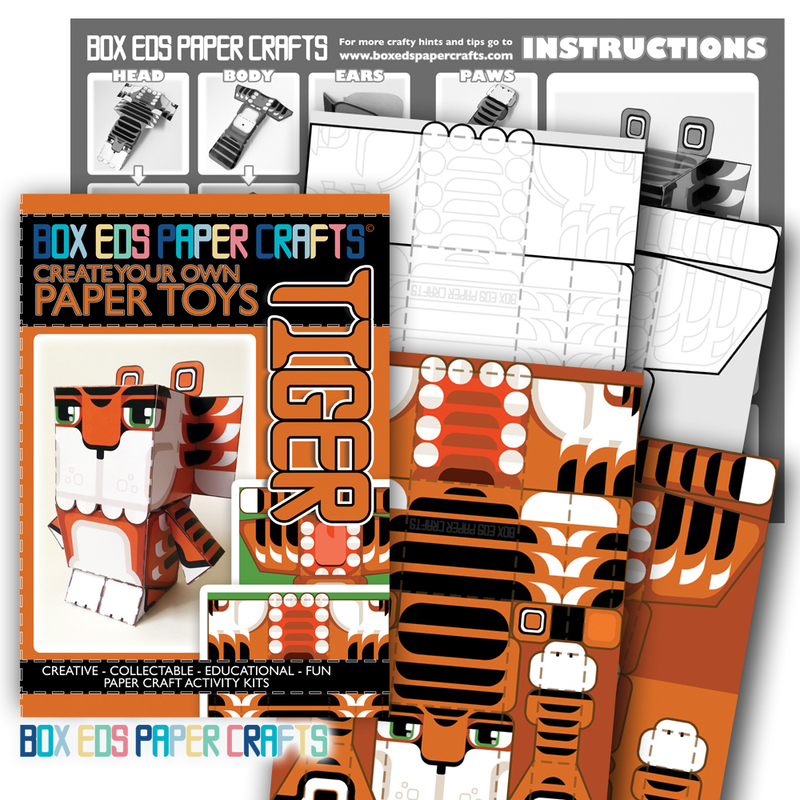 website/facebook/twitter etc so that readers can find out more about Box Ed’s Paper Crafts. Thank you Andrew for chatting to us! 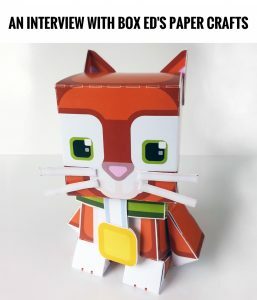 Dear readers, did you ever have paper toys as a child? What do you think of Andrew’s designs? 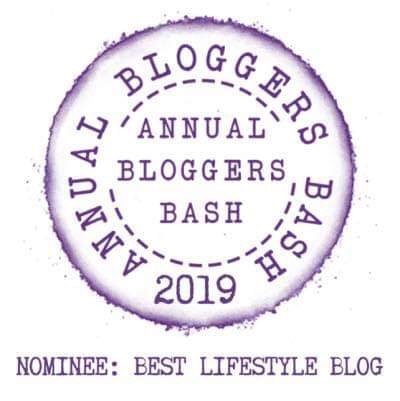 As always, do share your views … I’d love to know! All photos have been published with kind permission from Andrew Dunn apart from the R2D2 picture at the top of the post which was taken by me.